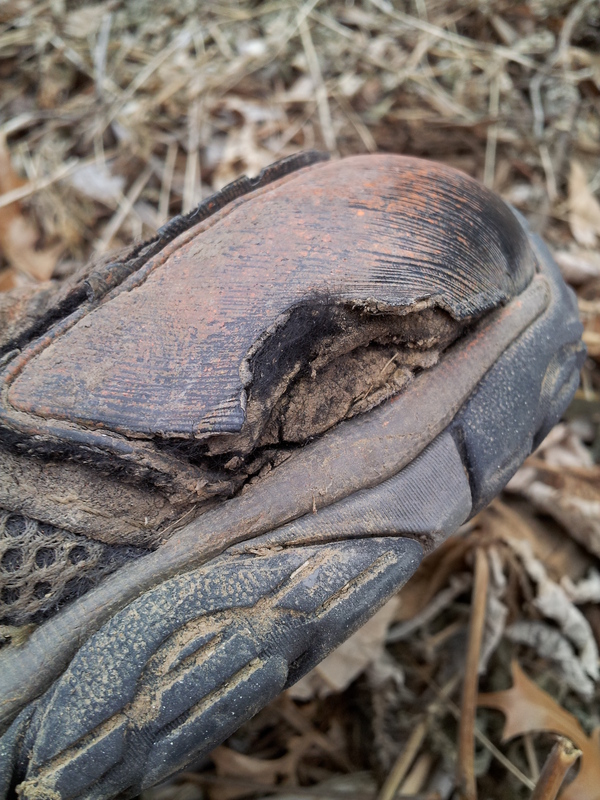 For the past two years They have withstood the brunt of every step I have taken while hiking. From concrete, asphalt to dirt, rock, mud and occasional creek crossing. They have provided a stable foot hold along every path. Last Saturday while slipping along a muddy trail at Monkey Mountain near Grain Valley, Mo. It happened. My foot felt wet. I scraped the muck off the toe of my boot and found the reason why. The boot was beginning to separate. Boots wear out, I know that. But it’s still hard to accept even when your staring at the damage. Yes, I’ll spend the hours hours researching, trying on, and seeking out a deal to find a suitable replacement pair. Until then, I’ll make the necessary but temporary repairs to get by. Now With another weekend upon us, time to gather the goo, and tape and prepare for the inevitable. 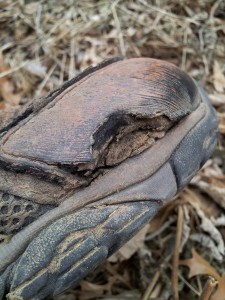 This entry was posted in Hiking, Hiking Blog and tagged Blue Springs, gear, Hiking, Mo., Scott Powell. Bookmark the permalink.